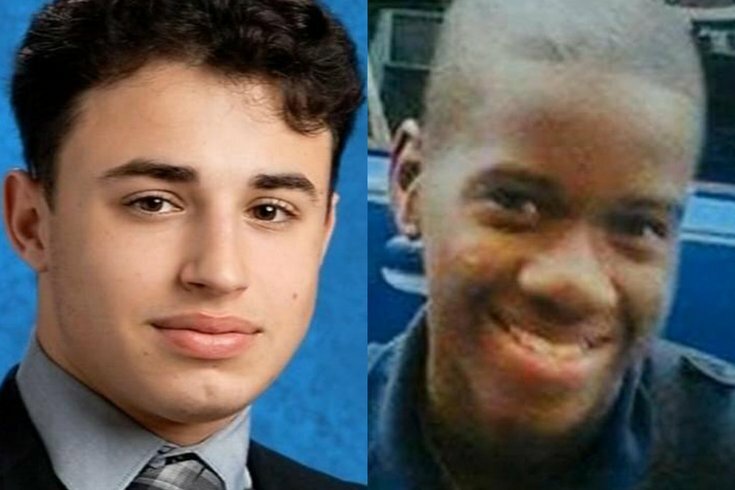 Salvatore DiNubile, 16, a student at St. Joseph Prep in Philadelphia, and Caleer Miller, 16, a student at Mastery Charter's Thomas campus were shot to death Tuesday night on a South Philadelphia sidewalk. Clarification, Oct. 30, 2017: The Archdiocese of Philadelphia initially stated that John W. Hallahan Catholic Girls' High School was placed on voluntary lockdown due to "general threats against the school community on social media." On Monday, the archdiocese clarified that Hallahan initiated a voluntary lockdown as a precaution based on threats made in the community. There was no direct threat made against the school. Roman Catholic High School was placed on lockdown Friday morning as police followed a lead related to the South Philadelphia shooting that left two teenagers dead on Tuesday night. Police received several tips that a person-of-interest had been sighted at the school, a police spokeswoman said. It was not an active shooter situation, she said. "We just had to follow up on certain leads and be proactive," she said. Officials at the high school alerted parents to the voluntary lockdown situation and are permitting them to pick up their children early. Otherwise, school dismissal will follow a normal schedule. Roman's sister school, John W. Hallahan Catholic Girls' High School, was also on lockdown this morning, according to Ken Gavin, spokesman for the Archdiocese of Philadelphia. He said both schools were on voluntary lockdown. The Roman Catholic lockdown was "due to general threats against the school community on social media." There was no direct threat against Hallahan, but the school initiated a temporary lockdown based on threats made within the community. The schools sit five blocks apart. 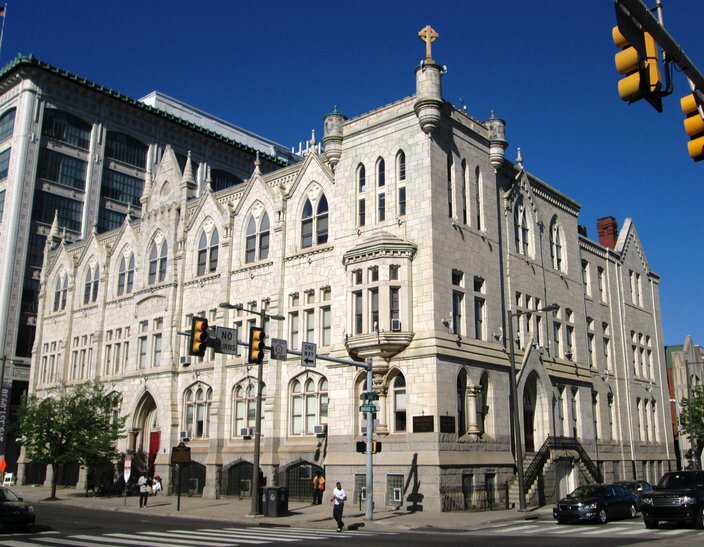 Roman Catholic High School in Center City. Gavin said administrators at both schools were in touch with police and advised the situation was safe. Police remain on the scene at Roman Catholic as a precaution, and after-school activities have been canceled for the day. Roman Catholic administrators did not immediately respond to a message seeking comment. On Tuesday night, Salvatore DiNubile and Caleer Miller, both 16, were shot and killed during an argument near 12th and Ritner streets. Police have been working to identify and locate the person or persons responsible. DiNubile was a junior at St. Joseph's Prep in North Philadelphia and Miller was a junior at Mastery Charter's Thomas campus in South Philadelphia. Early Friday morning, at least 14 shots were fired into a South Philly home where police say a person-of-interest resides, according to multiple media reports. The shooting occurred around 1:30 a.m.
Police confirmed that Brandon Olivieri, 16, who lives at the house, is a person-of-interest wanted for further questioning. But they could not confirm whether he is the alleged shooter who killed DiNubile and Miller. At a press conference on Wednesday, Capt. John Ryan said police had not yet determined the motive for the shooting, but had gained cooperation from several witnesses. A lone shooter fired three shots from a .45 caliber handgun, Ryan said, striking Miller once in the chest and DiNubile twice in the chest and the back. Hundreds of people turned out Wednesday night for a candlelight vigil held for the victims at 12th and Ritner streets.